With three days in Lisbon, you’ll have the chance to really get a feel for local culture and history, with plenty of time to explore the city’s art museums, experience its UNESCO-listed monuments, and listen to fado music. Plus you can journey into the beautiful Portuguese countryside. Here’s how to maximize three days in and around Lisbon. Spend today familiarizing yourself with the city and its major sights. A popular way to get your bearings is by riding Tram 28, Lisbon’s iconic yellow tram that weaves through many picturesque old neighborhoods. Note that lines to board can be long, especially during summer, so you might opt for a hop-on hop-off sightseeing bus tour or guided walking tour instead. Don’t-miss attractions include Belem Tower (Torre de Belém) and Jeronimos Monastery (Mosteiro dos Jerónimos), UNESCO World Heritage Sites and fine examples of Manueline architecture. 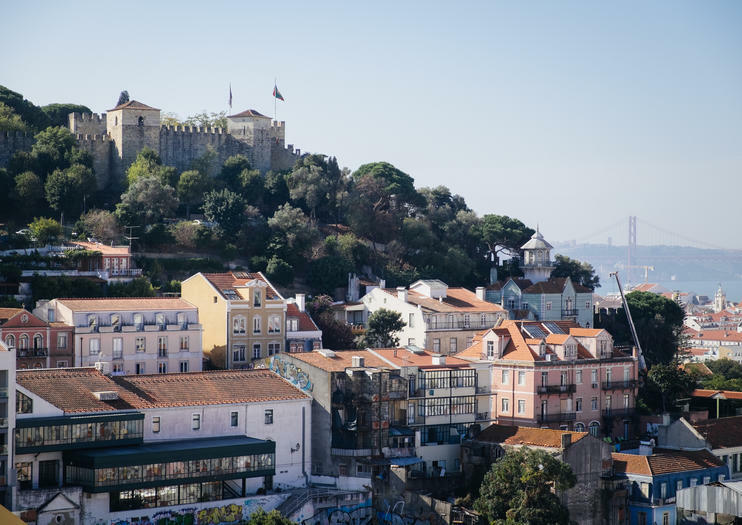 Other top sights include Sao Jorge Castle (Castelo de São Jorge), a Moorish castle with gorgeous city views, and Carmo Convent, a ruined church housing an archaeology museum. However, for many visitors, the real charm of Lisbon is found wandering its cobblestoned streets, particularly in the Alfama and Barrio Alto neighborhoods, both known for charming architecture and enchanting fado music performances. For good reason, there are loads of private and small-group day tours from Lisbon to Sintra, a city full of old gardens and villas that have collectively earned UNESCO World Heritage status. Attractions include beautiful Pena Palace (Palácio da Pena), a yellow-hued structure that mixes myriad architectural elements, from Egyptian to Gothic; the Monserrate Palace (Palacio de Monserrate); and the Gothic estate of Quinta da Regaleira. There’s enough here to easily warrant a full day, with plenty lunch and shopping spots, though many travelers who want to make the most of their time in the region choose tours that also visit Cascais. Like Sintra, this old fishing town is full of lovely (but not nearly as ornate) architecture and charming little streets, not to mention a sandy beach. It’s a popular weekend getaway for Lisboans and a great place to relax, wander, or sample fresh seafood. How you spend your final day depends largely on your interests. Art and history lovers may want to stick to Lisbon, checking out some of its noteworthy museums. Popular choices include the National Museum of Ancient Art (Museu Nacional de Arte Antiga), full of centuries of Asian and European art, and the Berardo Museum (Museu Coleção Berardo), known for its contemporary and modern art and installations. Those who are eager to get out of the city, however, should opt for a trip to Fátima, home to one of the world’s most important Virgin Mary shrines—it marks the spot where Mother Mary allegedly appeared to three local children. Many travelers choose to hit up both attractions in a single day, and tours to the area often stop at other important religious sites en route way, including the Cistercian Monastery of Alcobaça (Mosteiro de Santa Maria de Alcobaça) and the Batalha Monastery (Mosteiro da Batalha).